The switch-on of Seahouses Christmas lights. 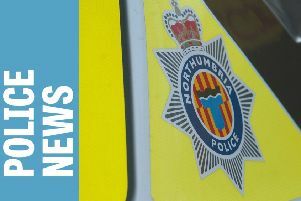 North Sunderland Parish Council has voted on how to support this year’s festive celebrations in Seahouses. It was agreed that the parish council will purchase the lights and Christmas tree, but will not give an annual donation for 2018. It was agreed that donations will be reviewed annually. This approach was chosen ahead of another proposal, which was to purchase lights, but not to give an annual donation for 2018 and not to purchase the Christmas tree. Earlier this year, the lights committee made a desperate fund-raising appeal to ensure that the village’s popular display can go ahead this Christmas. Objection to schemes: North Sunderland Parish Council has raised objections to two planning applications lodged with the county council. The first is for a scheme at a property at Mayfield. The application is for internal alterations to the existing semi-detached property, a new first floor door/window opening to rear bedroom, the demolition of existing extension housing garage/wc/store and the erection of new ground-floor extension. The parish council said that it had no objection to the ground-floor extension, but objected to the balcony due to the proximity of nearby houses which would restrict their privacy and there is also no means of alighting from the roof if it is to become purely an exit. The parish council said that it wished to see an alternative. Councillors also objected to retrospective advertisement consent for an overhead powder-coated aluminium sign, with lit stainless-steel letters, at Insieme Restaurant, on Main Street. The parish council said that the application was presented early in 2017 and members objected then and their objections still stood. It was said that the county council had written to the applicant in 2017 requesting removal, but this had not been carried out. Large chippings: Chippings on cliff-top path in front of Cliff House are too large and preventing use by wheelchairs and buggies. A letter is to be sent to the county council requesting a site visit. Litter bin: A new large litter bin is now outside the entrance to the car park near the flower bed and the previous black bin transferred to Southfield Avenue near Main Street cemetery wall. Shelter request: A further request has been made for a bus shelter at King Street. Overhanging hedge: The county council has visited the previously reported overhanging thorn hedge at the southern end of the public footpath, South Lane to Main Street. Chairman Coun Geoffrey Stewart will speak to the county council again about the issue. Seat removed: A broken seat at the harbour has been removed for repair. Cleaning request: A request has been made to the county council for cleaning out a drain at the top of Harbour Hill, on the pavement outside Pinnacles restaurant and for an inspection of all gullies. Holiday homes: It was noted that some litter bins left from holiday homes are not removed after rubbish collection.